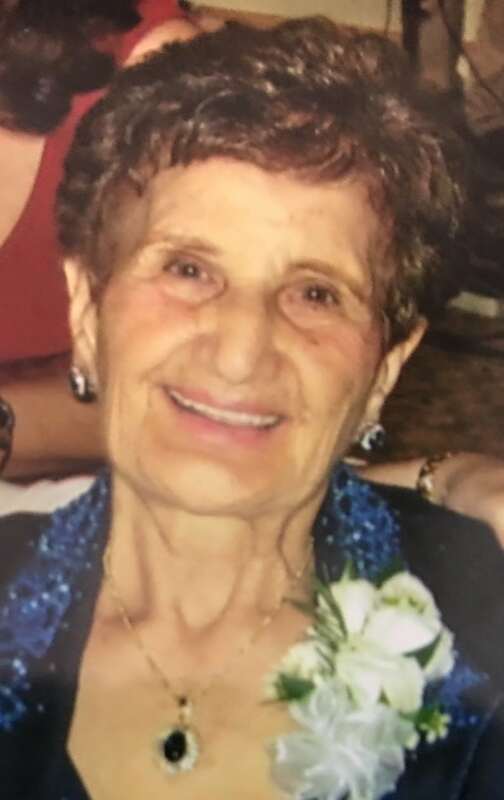 Josephine Cino Pisano, 98, of Florida, entered into eternal rest on January 24, 2019. Josephine was the wife of Joseph Pisano who pre-deceased her in death. Josephine was born on October 2, 1920, in Carbondale, PA, and was the daughter of the late Anthony and Diega (Failia) Cino. She resided in Stratford, CT before moving to Bridgeport, CT. She and her husband, Joseph, moved to Florida 33 years ago to be close to their children and granddaughter. During World War II, Josephine worked at General Electric where she was introduced to her future husband, Joseph, by her now sister-in-law, while he was home on leave. She agreed to wait for him to come home, and they married shortly after he returned from overseas. They were married for 65 years and were the love of each other’s lives. They raised two daughters. Josephine devoted her life to her family. She loved celebrating the holidays with friends and family entertaining and cooking side by side with her husband. They made an amazing team preparing traditional dishes, adding their own personal touches, always eager to experiment with variations on old recipes or try completely new ones. Their daughters’ playmates never left the Pisano residence hungry. Josephine leaves behind two daughters, Diane Pisano of FL, Grace Carbone and husband Bill of FL, a granddaughter, Kristen Berner and husband Kegan of Cape Cod, MA, and the pride and joy of her life, her great grandson Chase Berner. She leaves one sister, Caroline Acquista of CT, and 2 sisters-in-law Lillian Polozzolo, and Dora LaPorte of CT. She also leaves several nieces and nephews. May she be reunited with her husband in eternal rest. Services will be held on Thursday, January 31 at St. Mary Magdalen Catholic Church, 861 Maitland Avenue, Altamonte Springs, Florida 32701. Visitation at the church will be from 9:30 to 10:30 with mass following immediately afterward. Josephine will be laid to rest with her husband, Joseph, that afternoon at Florida National Cemetery in Bushnell, Florida. Visit: https://vitascommunityconnection.org/community-connection and select DONATE. How sad we are that you are no longer here. No more seeing your smile, no more hearing your voice. The only comfort we have is knowing that you and Daddy are now reunited in eternal life. We will all meet again at the gates of heaven, until that time, we will miss you dearly. Wendy and I are very sorry for your loss. I will always remember Aunt Josephine as a very gentle and kind hearted person who always made you feel welcomed in her home. I will always cherish the fond memories of us all getting together for the Holidays and our picnics. Christopher Elizabeth Jenny Ann Cotone Your California Cousins .